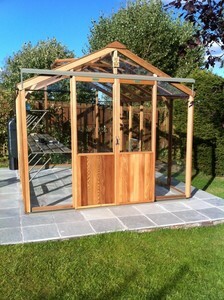 This Alton Evolution Eight model has the advantage over its smaller cousins of having an extra wide (4ft) double door. 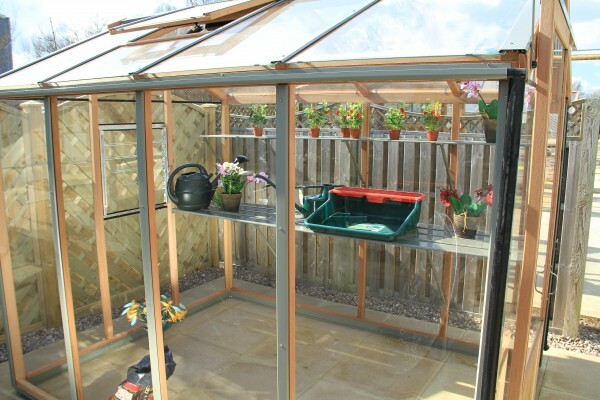 This gives you good access to the greenhouse if you are carrying bulky items, and thanks to the Evolution’s low level threshold, good access with a wheelbarrow as well. The metal base keeps cedar away from the damp floor and the overlapping roof sheets ensure that water runs straight in to the aluminium guttering so that you can collect the fresh water for your plants. 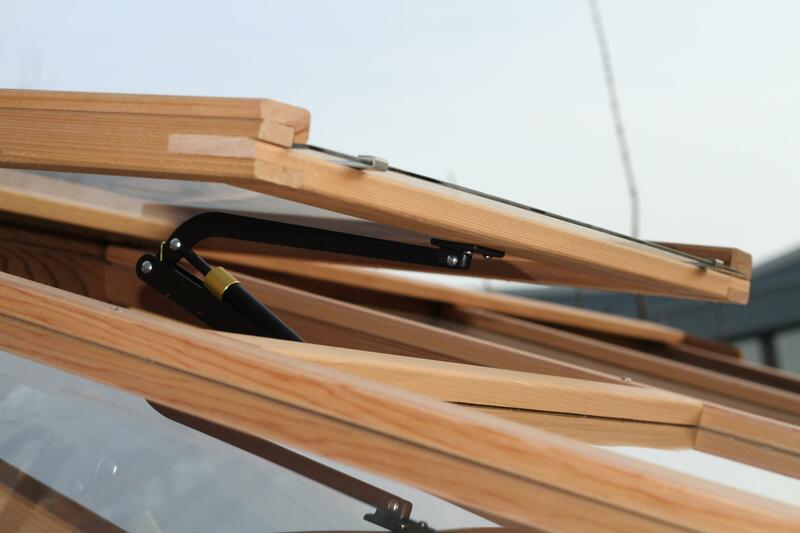 Did you also know that all Evolution models are actually factory treated in a clear spirit based wood preservative? 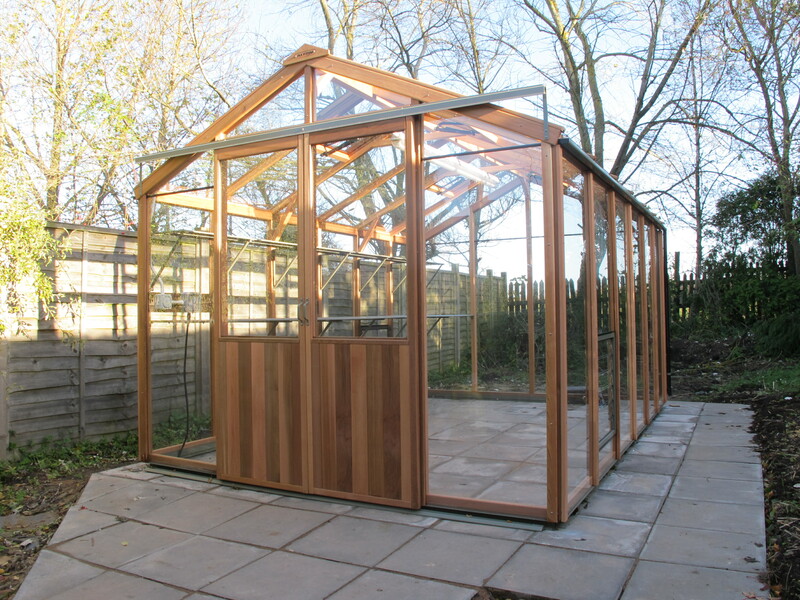 This means that the Cedar wood is far less prone to staining than other Cedar greenhouses on the market which are delivered untreated. 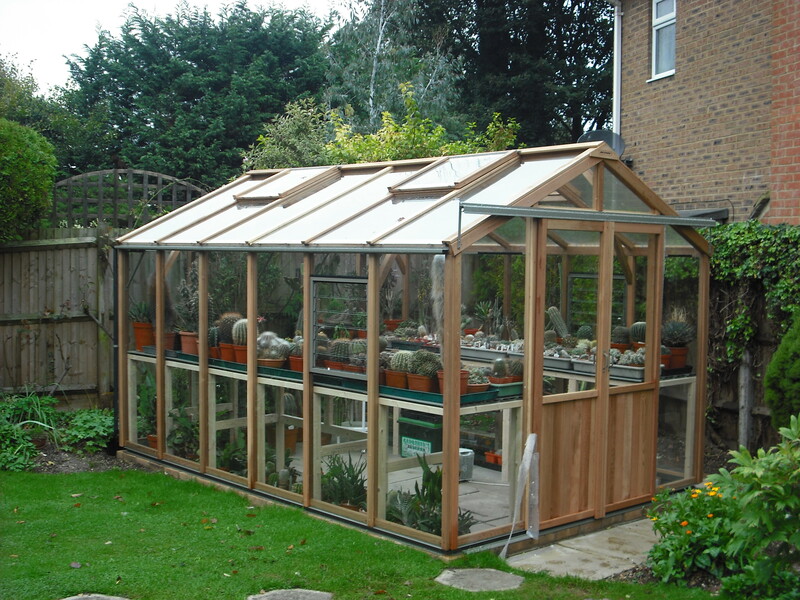 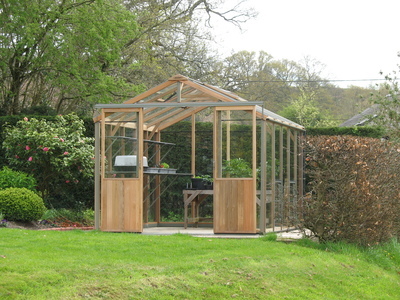 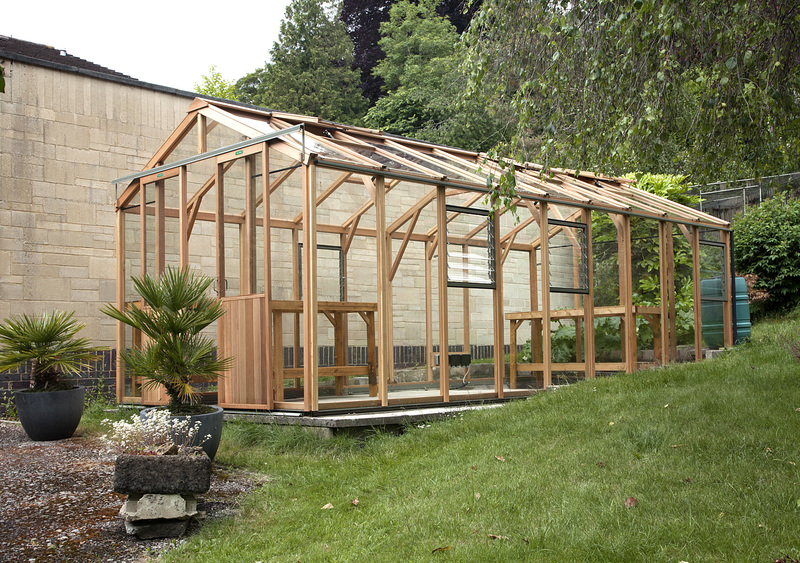 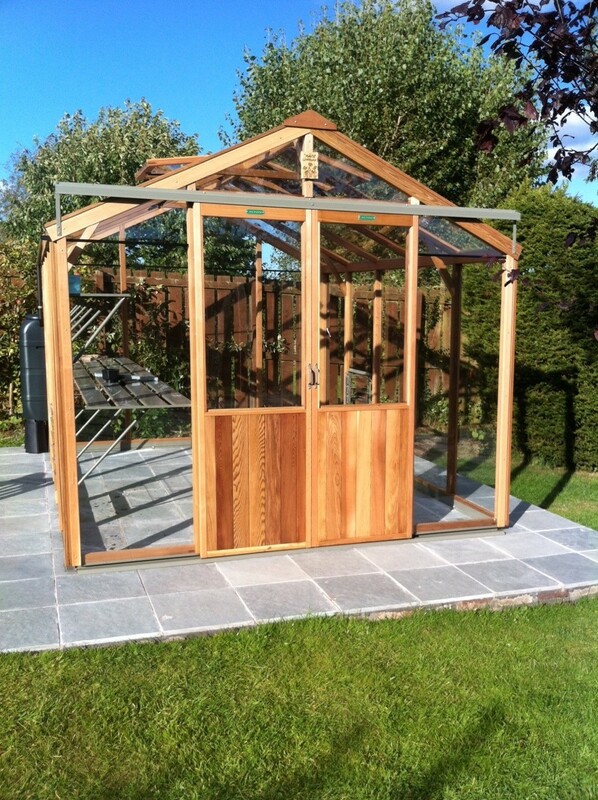 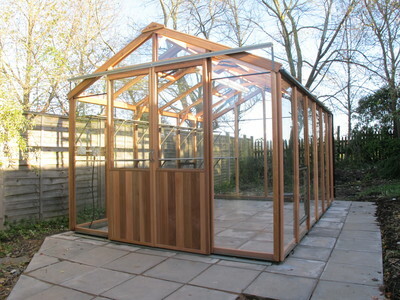 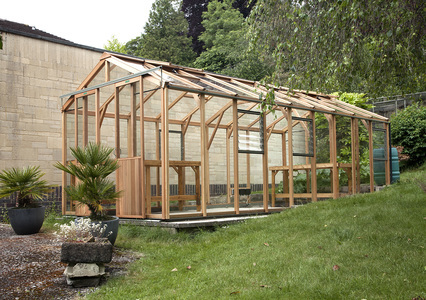 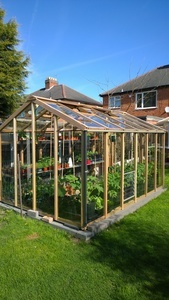 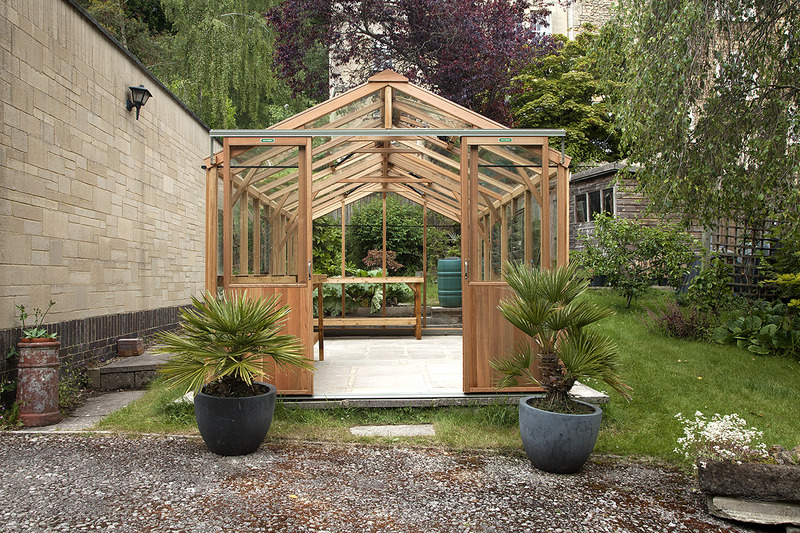 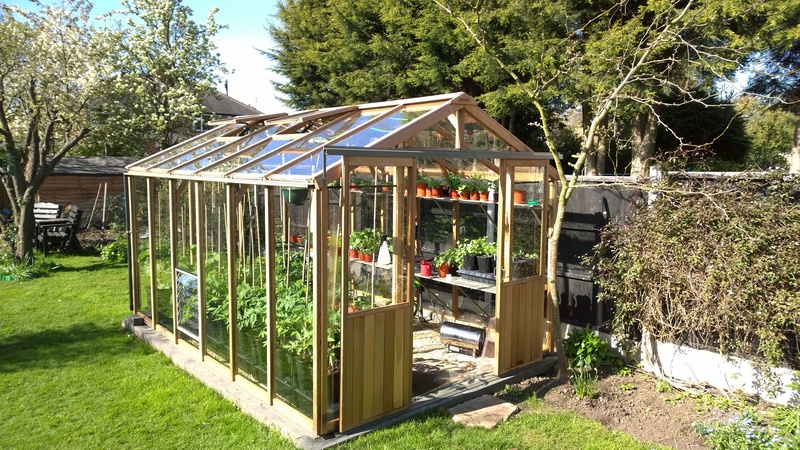 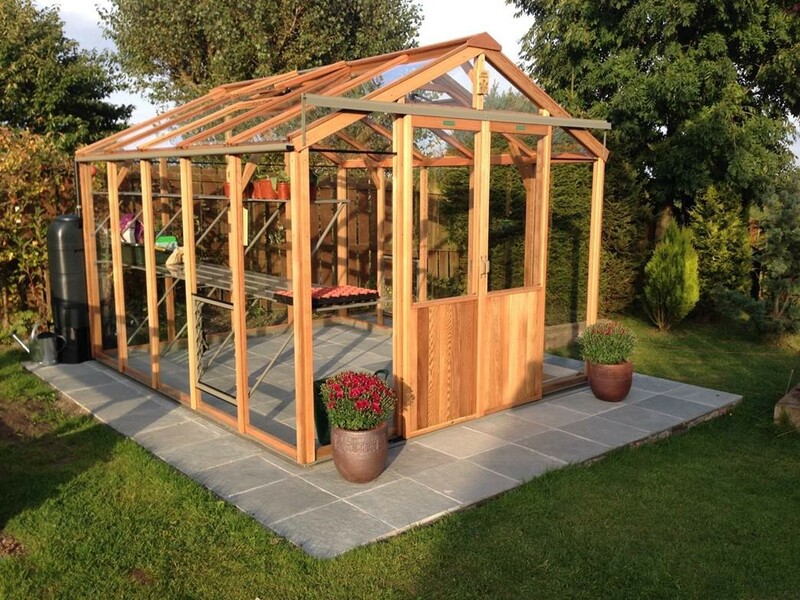 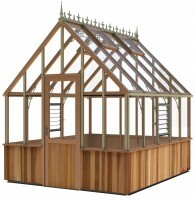 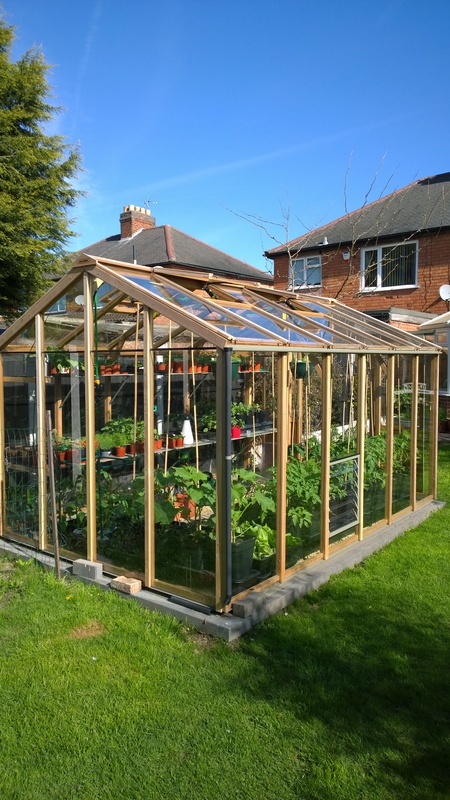 This Alton Evolution Eight greenhouse will come with Cedar bar capping as standard, but if you prefer to go for virtually maintenance free then you can upgrade to the Aluminium bar capping. 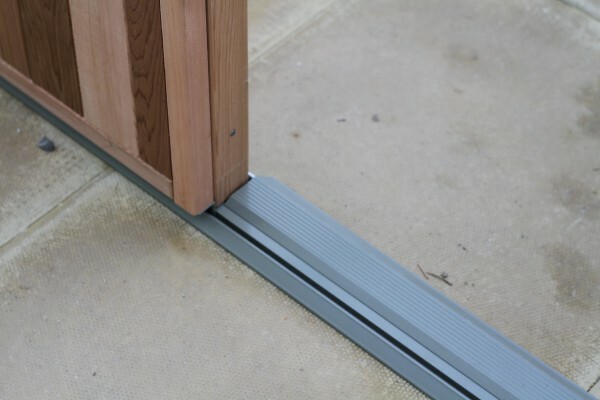 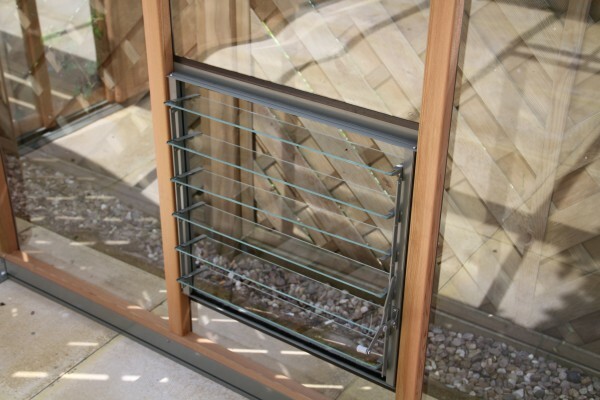 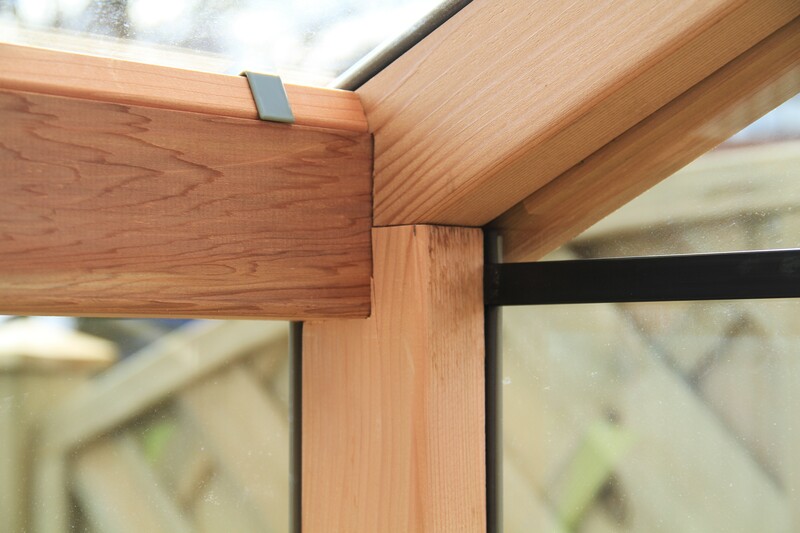 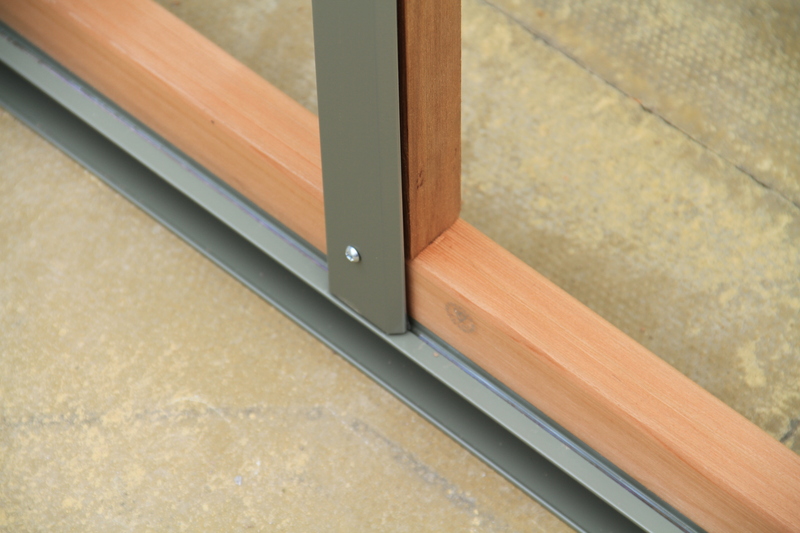 These full length Aluminium capping strips actually screw into the wooden frame and grip the toughened safety glass securely into the Cedar frame. 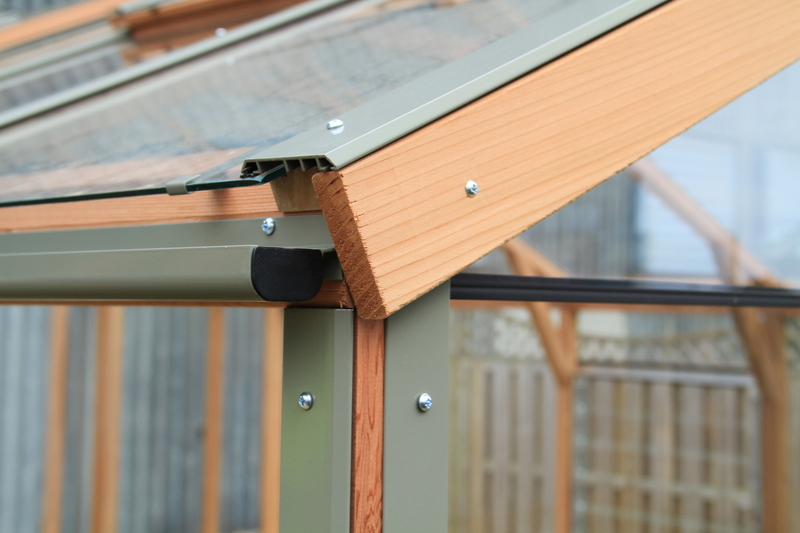 The powder coated Moss colour complements the Cedar– even more so as it ages to a nice silvery mature colour. 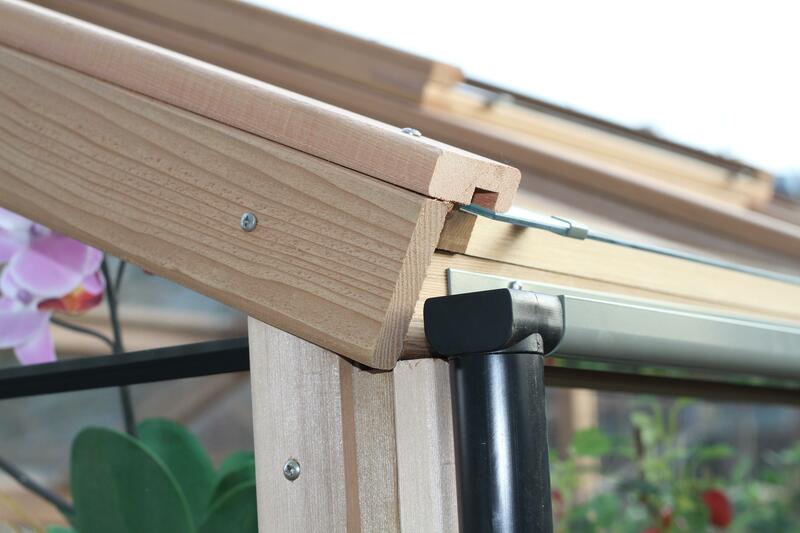 As with all Alton Evolution models, this model comes with a generous level of ventilation including automatic roof vents and louvre side vents.